Wandermere Backyard PARADISE! 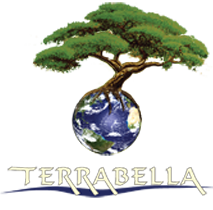 (cool water feature) | TERRABELLA, inc. This is our most recent spring project for 2013. 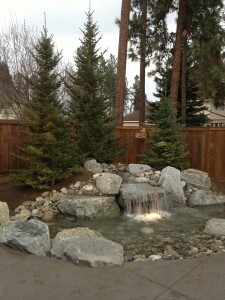 The project is located a little north of Spokane, WA, in the Wandermere area. Not quite to Deer Park, WA but on the way. It comprises a water feature, sand exposed concrete patio and cultured stone fire pit. The design was by Anne Hannenburg of SPVV. The clients are now suffering the wrath of their decision as ALL of the neighbors have water-feature-envy and have either full intention of crashing their parties or building gates to their backyard 🙂 We offer counseling for both situations. Enjoy the pics!